a fellow TBH’er shared a really old meat clever he has from his great grandfather and it’s been great fun for a change of pace to work on. After a ton of sanding, you can see a makers mark and it was from approx 1921-1927. Got it to a point where it still shows some age but retains some wear. It took a super edge I was able to have arm hairs with. Finished it off with a food safe preservation treatment chemical from Aegis that helps prevent rusting. Lots and lots of sanding, polishing, sharpening, more sanding, and a light touch on the buffer...fun project! Nice job. Waiting for good time ing of when you post a new clever build and I have funds! Thanks guys. He found some info on the world wide webbernets and it has maple handles and was made by Damascus Steel Co. In Illinois. Thanks. That’s the hope! Or at least 50. Figure it still looks pretty old and antique like but highly functiona. If someone wants to remove rust from a project like this, without doing all the sanding, build a small electrolysis setup and you can remove all the rust effortlessly. It will not smooth out any pits though. I have used electrolysis on lots of projects since I discovered it. true statement indeed but would you have to submerge the wooden handle in a solution for 20 hours? Asking because I've never tried it but that's my understanding of the electrolysis process and I would think that wouldn't fair well with the handle portion. No need to submerge the handle. Just suspend it from above, with only the blade in the water. Having the handle in the water is a non issue imho. It woulditerallyonly take 5-10 minutes treatment time with the level of corrosion on that piece. Id treat it, wire brush it, rinse it, and then toss it in the oven on low heat to dry out any absorbtion into the wood. This was a shotgun that dad lost in a tornado. 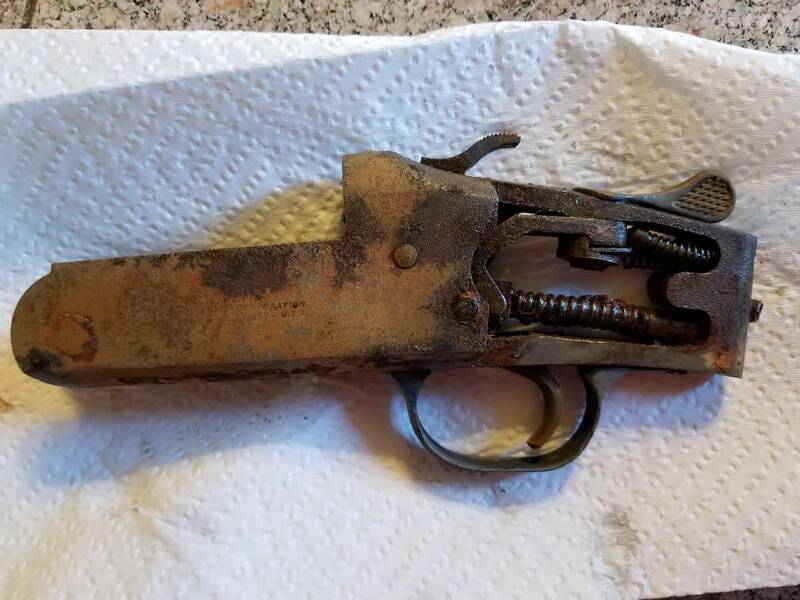 Found it a couple of weeks later in a muddy field. Fully disassembled and treated parts. That receiver i treated for probably 5 to 10 minutes. Great job on that clever. Looks great . Have one like that but not refurbished. Use it at the lease on deer and pigs. Literally is bad to the bone. Just use a bucket or any non conductive container. Fill it with water and dissolve about a cup of baking soda into it to make the water more conductive. Place piece to be treated in the water with the negative lead of a 12v battery charger attached. Place a piece of scrap steel in the bucket as well w the positive lead attached. Make sure the two pieces are not touching. Plug it in. Bubbles should form almost immediately on both pieces. You are bombarding the negative piece with electrons from the positive lead....or something like that. Dont use one of the newer smart chargers. They wont work. If the clips dont spark when you tap them together, that charger will not work. I have a bucket with rebar all around the sides that is wired together. That way i am treating a piece from all sides. You're pretty clever with that cleaver. 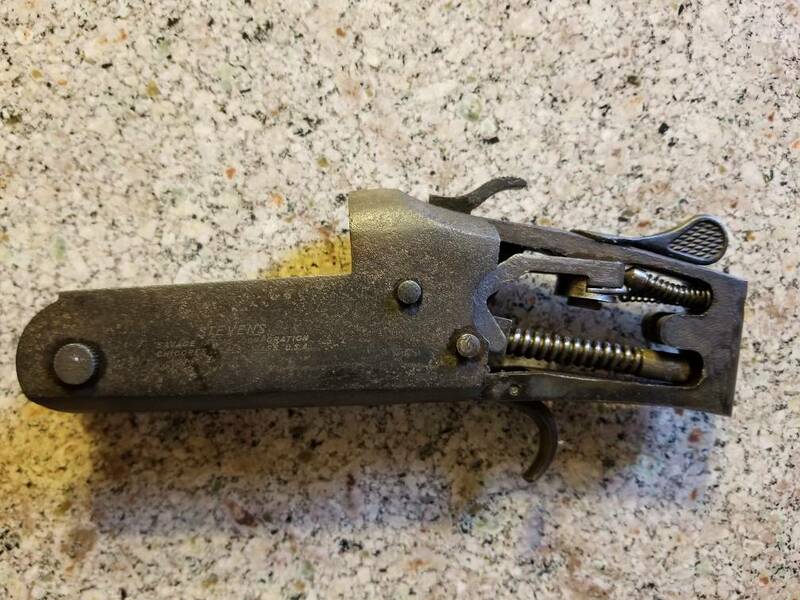 I have some old hand tools that I'd like to rework. Good thread. No sir, I forget how I stumbled onto it a few years ago but it’s amazing stuff. I always use a museum quality crystalline wax but I’ll coat with this first on household food exclusive blades. It's what I use also. Great stuff! Looks great Brian. I cant wait to get it back and put it to work! Indeed, can't wait to see it cutting some meat again!! !